I've been after this game for years as I found the box art very striking. What a let down! The card pitch is so flimsy that the game is unplayable. Even so it is a decent addition to my collection. A complete set in excellent condition. A complete set in used condition with bent and warped cardboard and tear on the box. 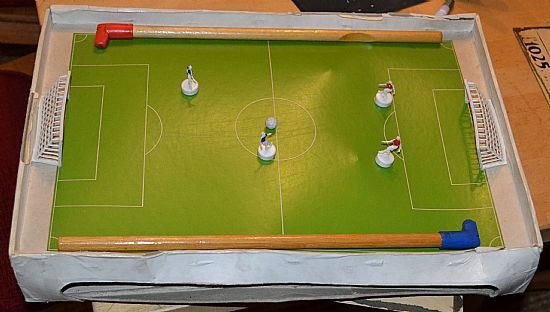 A smallish cardboard pitch with two magnetic wands, 4 players, 2 goals and a ball. 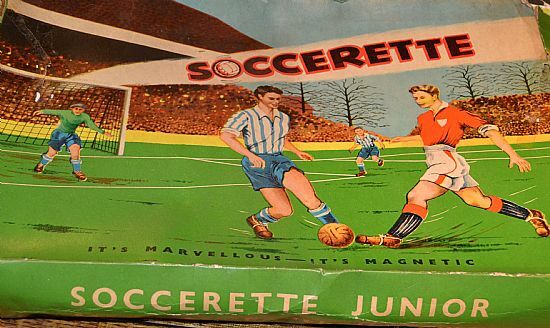 I think the pitch was modelled on Underhill, Barnet's infamous sloping pitch. The card has warped. 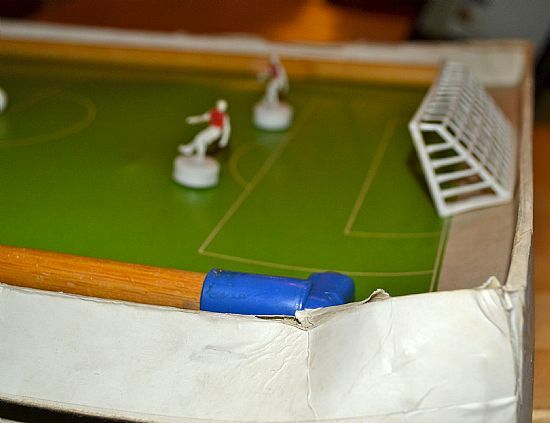 The side of the pitch has slits along either side of the board to get the wands in. Very strange. Resembles a model of the San Francisco elevated highway earthquake collapse. 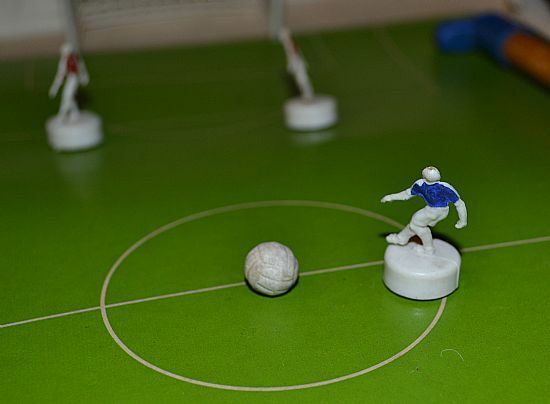 Standard two a side Soccerette players.